— Self energizing V-Seal piston ring. — Double rack & pinion. — Pinion supported on polyacetal bearings. — Maximum working pressure 8Bar. Optional 10Bar. — Temperature range -40 °C to +150 °C. — Anodized body inside and out. — ISO mounting for interchangeability. — Can be converted to spring return by just adding springs. — Smooth burnished cylinder wall. 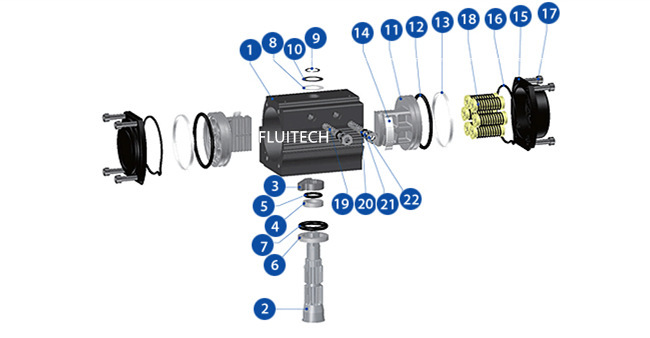 FLUITECH actuators are mounted directly to valves or adapted to the valve by means of an intermediate bracket and coupler. The coupler adapts the output of the actuator to the valve shaft. Standard mounting kits provide mounting of the actuator in the direction of the pipe. Pipelines can be horizontal, vertical, or other positions. 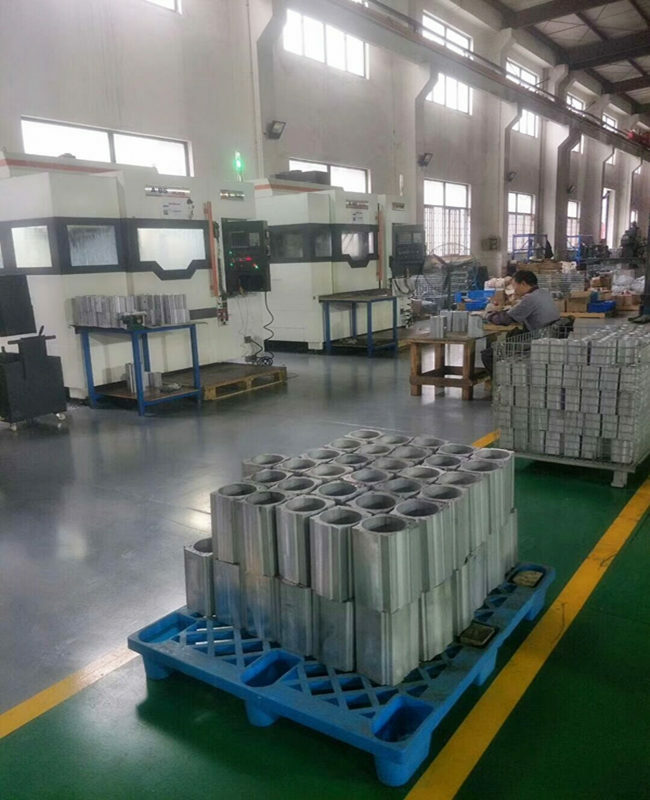 When mounting the actuator to a valve using a mounting kit, the pinion drive, coupling device and valve stem should be centered and concentric to prevent any side loading to the bottom pinion radial bearing and valve stem seal area. 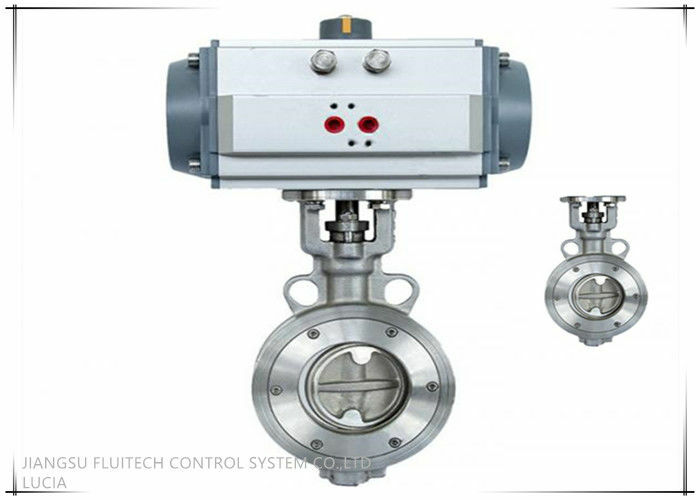 After mounting, it may be necessary to adjust the end of travel stop for proper open or closed valve position.Pneumatically stroke the actuator several times to assure proper operation with no binding of the coupler.